This pattern has been tested. It should take between 1 to1 ½ hours to complete and has been rated an advanced beginner pattern. 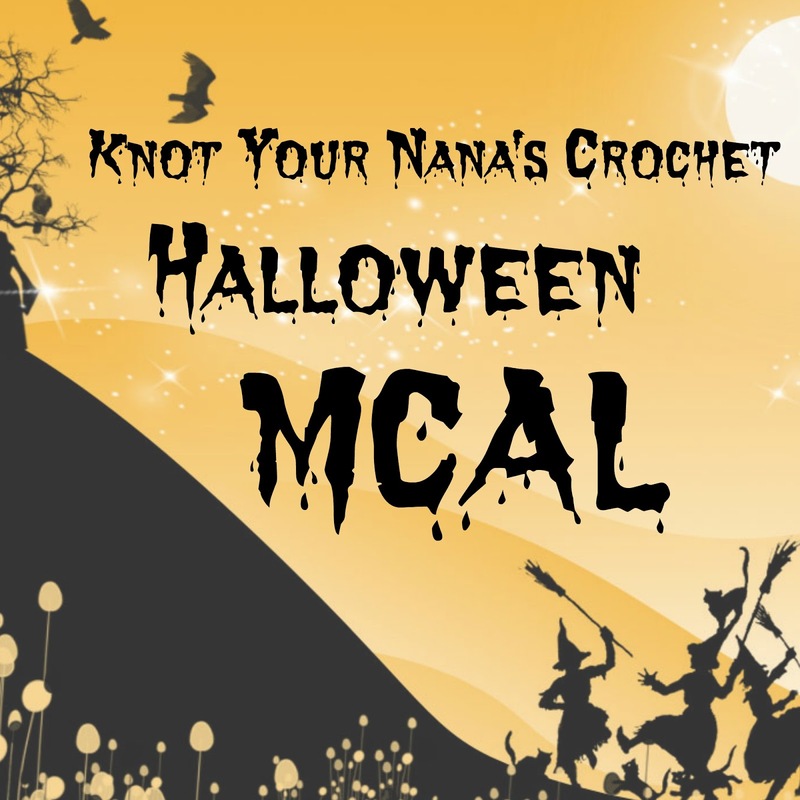 If you need help with anything along the way please feel free to message me at knotyournanascrochet@gmail.com and use MCAL Part One as the subject title. I will try to get back to you as soon as I can. You are welcome to ask for a picture if you get really stuck with anything. Starting with a magic circle or ch 3 and join with a slip stitch. Do not finish off, follow on from circle. Ch 1, turn. (right side facing you now) Sl st down side of triangle. When you reach the bottom (back to beginning circle) sl st across 9 stitches. Ch 1, turn. Sl st down triangle. Finish off. Count 18 stitches to the left of where you finished off. Join yarn in the 18th stitch. Ch 1 and sc around the entire piece. To make it sit right, when you get to the space between to tail and body single crochet 3 stitches together. When you get to the ears place 3 single crochet in the top of each ear. Join to first sc with a sl st and finish off. To complete, stitch the top of tail to the right side of the body. It should curve towards the body and attach at row 3. Weave in all ends. Attach button eyes (or you can stitch the eyes. To stiffen this piece you can glue it to a piece of felt and carefully cut around the outside or follow any of these options http://www.crochetspot.com/how-to-stiffen-or-starch-crochet-articles/. You can leave the stiffening until all 5 pieces have been completed and you know what we are making if you would like. This will give you a better idea of how you would like to do it. This sounds interesting, can't wait to try it. Hope I can keep up with the posts on here so I can finish the mystery item. Yay, this sounds like fun. The amount of time is perfect I can get it done during the kiddos nap time. I am so ready for this. I love Kals never did a CAL.This is my first! Will you give us a new cal every week? Every 2nd day a new part will be up and it will be done over 10 days. So not a new one every week. Just new parts.